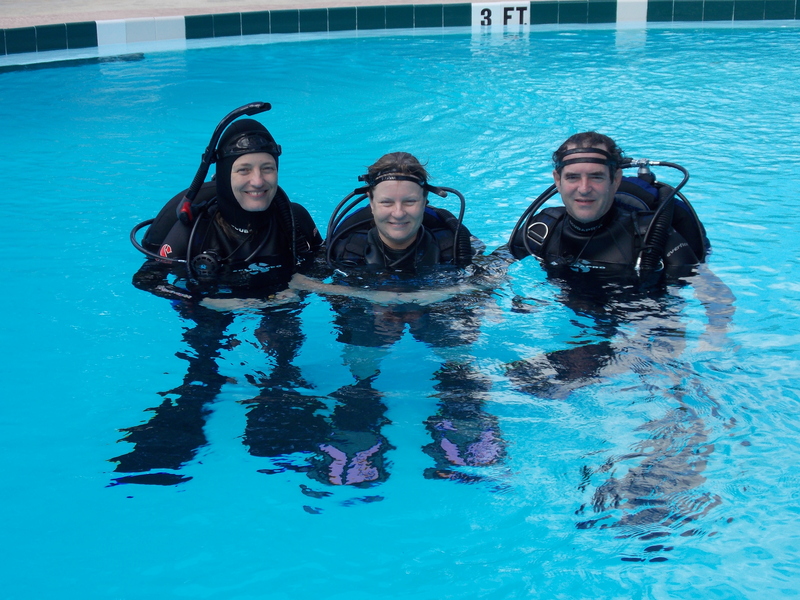 Beverly and Nicki with their H&R SCUBA Instructor Howard Smith. They are holding their Scuba Diving Certificate from H&R SCUBA. 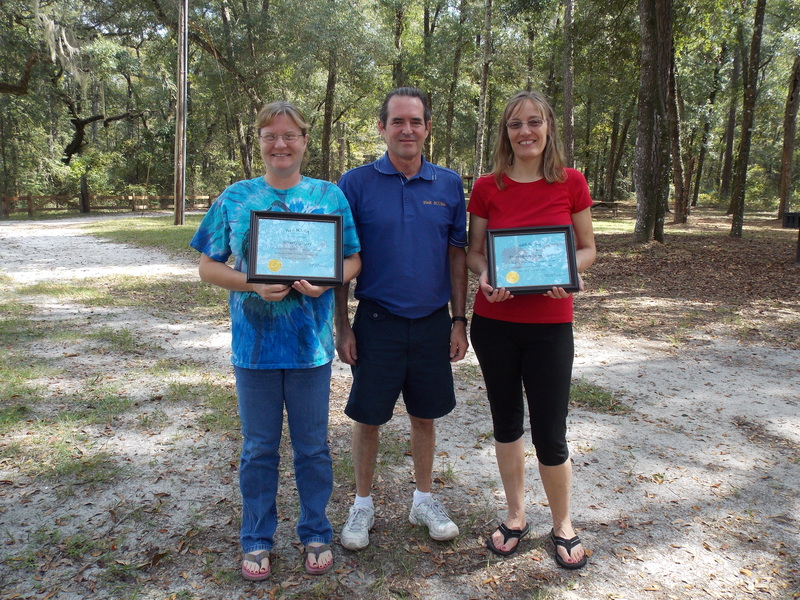 CONGRATULATIONS Beverly & Nicki you are now Certified PADI Scuba Divers! Way to go girls! We are proud of you! 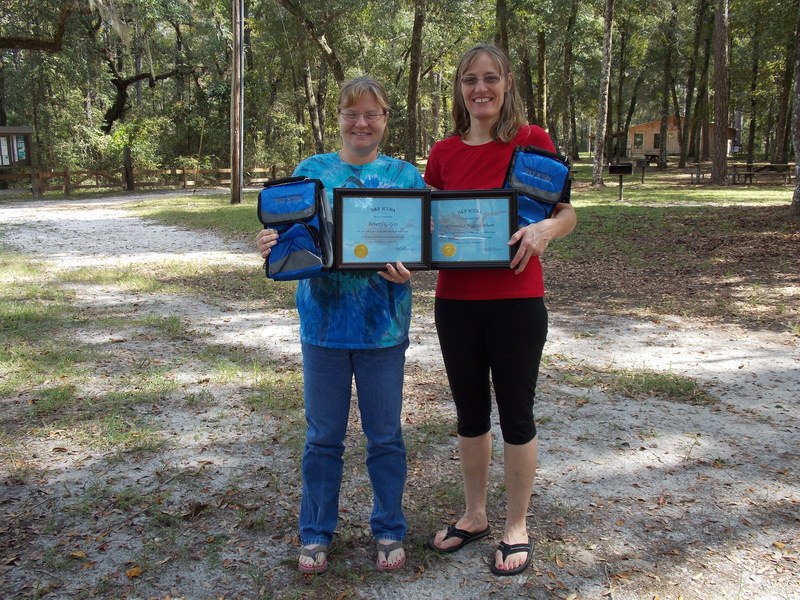 (Beverly and Nicki holding their Certificate from H&R SCUBA & their Cooler Gift). Beverly and Nicki with their H&R SCUBA Divemaster Rhonda Smith. 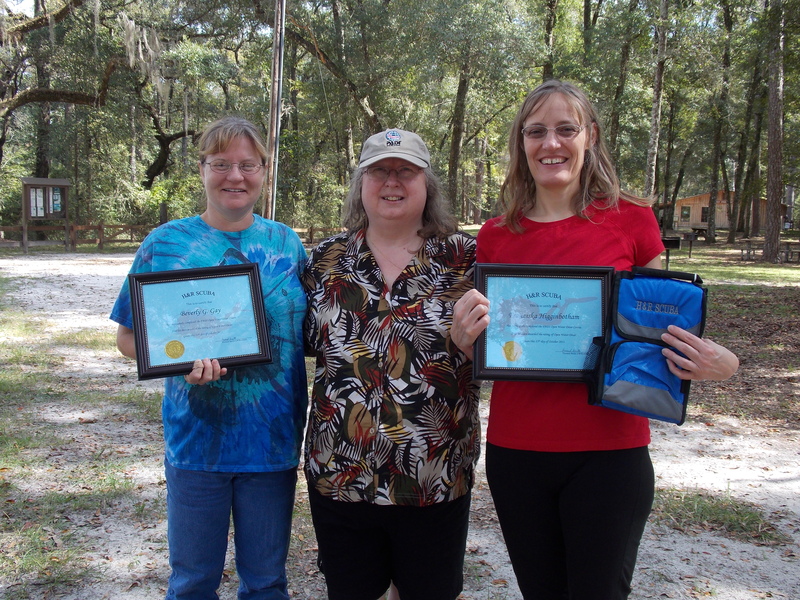 (Beverly and Nicki holding their Certificate from H&R SCUBA & Cooler Gift). Beverly and Nicki looking happy at surface of pool while planning their strategies for the upcoming Ping Pong Ball underwater Race. Who do you think will win? Howard (right), Beverly (center), & Nicki (left). We all had a good time doing our Scuba Diving Class today in this beautiful pool on this nice sunny day with these two fun, friendly, awesome, women! 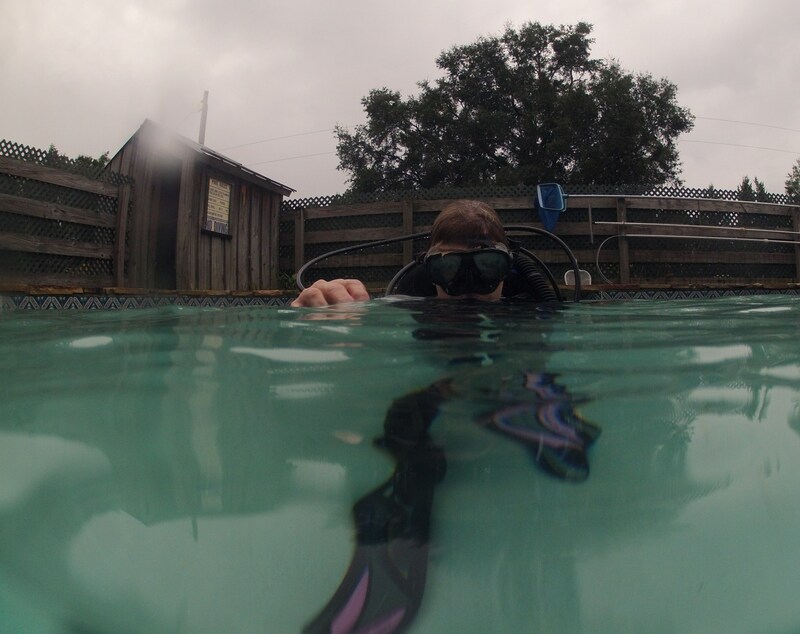 Beverly above and below water in pool during her Scuba class. Nice pink fins!